GUANGDONG DAZHI ENVIRONMENTAL PROTECTION TECHNOLOGY INCORPORATED COMPANY is one of the leading manufacturers of environmentally friendly surface engineering chemicals industry in China. The company is focusing on research, production, sale, application and service in surface engineering chemicals. The complete products system is formed after years of development. The leading products are electroplating additives, intermediates, electronic chemicals, paint additives, polyethylene carbonate polyol and other new environmental chemicals series. 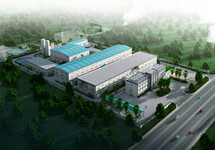 Guangdong Dazhi is a national key high-tech enterprise. The company has established long term cooperation with universities and research centers for development of environmentally friendly products. Since it was founded the company, Dazhi has been awarded National standard-setting unit, National key high-tech enterprise of torch program, Innovative pilot enterprises and Private technology enterprises etc. In addition, it was qualified for ISO9001, ISO14001, safe production license, dangerous products certificate and many other management qualifications. Headquartered in Guangzhou Economic and Technological Development Zone, Guangdong Dazhi has established three subsidiaries with about sixty-eight thousand square meters of modern production facilities. Dazhi Technology will continue to uphold the pioneering and innovative development strategies. And the goal is provide global advanced technology and quality services to surface engineering industry through continued technology innovation, advanced production equipment, perfect quality control and strict management system.